One of Italy's highest resorts, Passo Tonale is located on the pass linking the regions of Trentino and Lombardy. 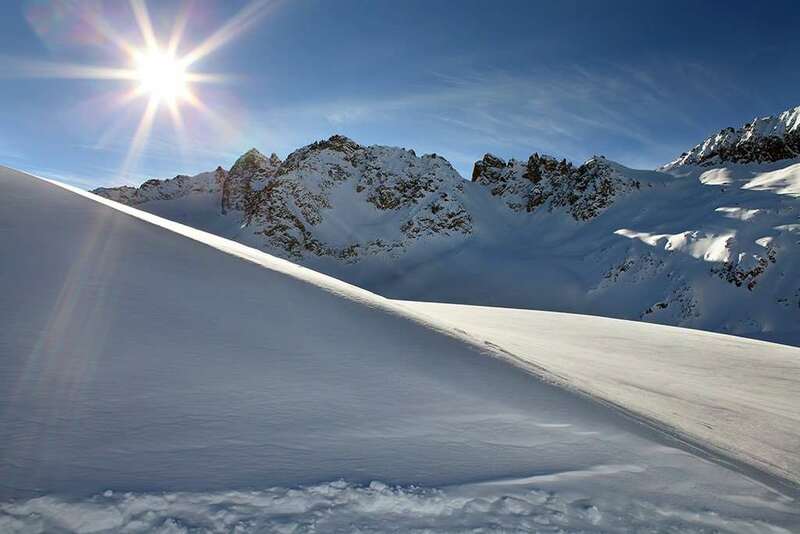 With a compact lift system, guaranteed snow, runs mainly above the tree line and long hours of sunshine, ski holidays in Passo Tonale fulfills the expectations of most skiers and offer excellent value for money. The ski area has been extended with the development of new pistes and lifts around Ponte di Legno and Temu. New for winter 2006/7, a two-stage cable car linking Passo Tonale and Ponte di Legno will open up a continuous 11km descent from Presena to Ponte di Legno. Skiing is possible on both sides of the valley on mainly north- and south-facing pistes above the tree line. There are 200 snow cannons blasting out artificial snow in Passo Tonale which adds to the natural snow for more guaranteed skiing throughout the winter season. The village itself is compact with hotels and numerous bars, cafés and good value restaurants. There are numerous bars and cafés. As the lifts close, head to Bar Heaven at Happy Hour (2 drinks for the price of 1) for lively après ski. Two lively bars are Heaven Disco Pub and the Miramonti disco bar. Relax at El Bait, with traditional Alpine decor or La Botte with an interesting selection of wines. Passo Tonale offers several restaurants • La Torretta for excellent pizzas, El Bait or the Focolare for a 3-course meal. Try the excellent burgers at Magic Bar. There are several airports accessible via bus or car transfer the closest being Bolzano (BZO) which is around a 1 hour and 40 minutes journey away. 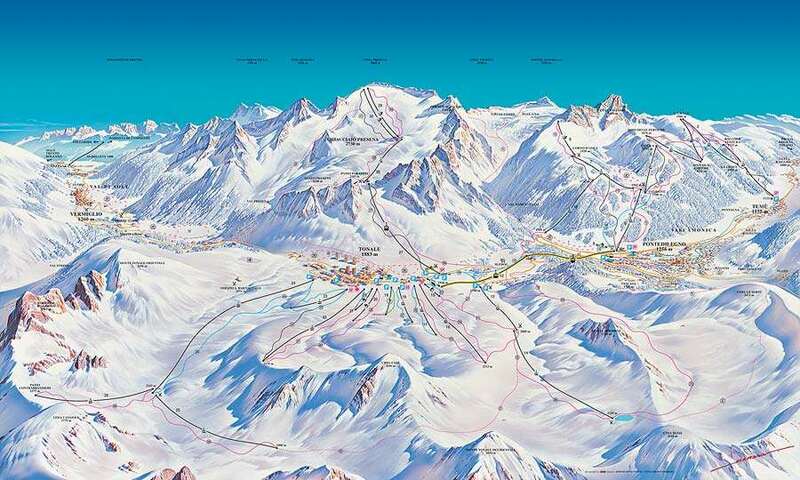 Superb resort for real beginners (those who've never skied before) up to intermediates. Most of the blues are lined up side-by-side off the main street and you can easily switch as your skills improve. The long blue from Tonale down to Pontediligno is a great mixture of steep and gentle slopes. Pistes are well-groomed. This is an ideal resort to develop your skills. Hotels are mostly 3-star.